Manchester United manager Jose Mourinho has reportedly been in contact with Real Madrid winger Gareth Bale ahead of this weekend’s El Clasico clash with Barcelona. According to Diario Gol, Mourinho has informed the Wales international once again of his desire to bring him to Old Trafford after plenty of speculation in recent months. Another recent report from Diario Gol claimed Bale would likely cost around £79million to prise away from Madrid, which seems well within the Red Devils’ price range. Mourinho looks like he could do with reinforcements in attack after some disappointing performances in the big games this season, with Bale a clear upgrade on the likes of Jesse Lingard, Juan Mata and Henrikh Mkhitaryan in that department. Still, the deal carries some risks given the 28-year-old’s recent injury record, which also seems to have put his Bernabeu future into doubt. Diario Gol have also linked Chelsea forward Eden Hazard with Los Blancos, which would also surely spell the end of Bale’s career in the Spanish capital. That said, Mourinho has also this week been linked with a shock move to take Hazard to Manchester United, so the Belgian could be another alternative as he seeks to bolster his attack. 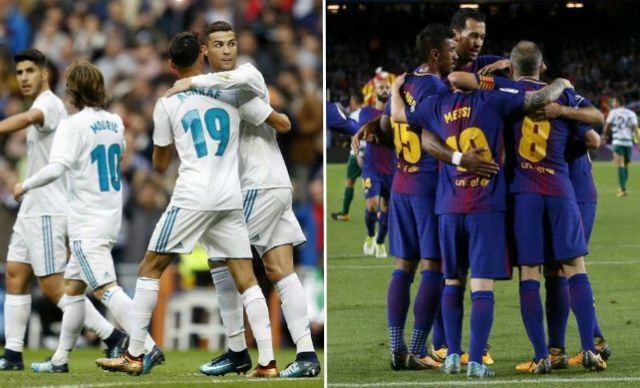 Real, however, could do without their players being unsettled ahead of this Saturday’s big game against Barcelona in La Liga.